Tooro United defeated Bright Stars 2-0 at the Buhinga Grounds in one of the four StarTimes Uganda Premier League games played on Thursday afternoon. Mike Kawooya struck after 21 minutes to ensure that Wasswa Bbosa’s side settles early and dictate the game. However, despite controlling the majority of the encounter, the home side had to wait until 14 minutes from time to make the points safe as Allan Kayiwa converted from the spot. This was Tooro’s fifth win of the season and it sees them climb into 10th on the log with 20 points. For Bright Stars who have now gone six matches minus victory, they slip further down into 9th with 20 points thus far. 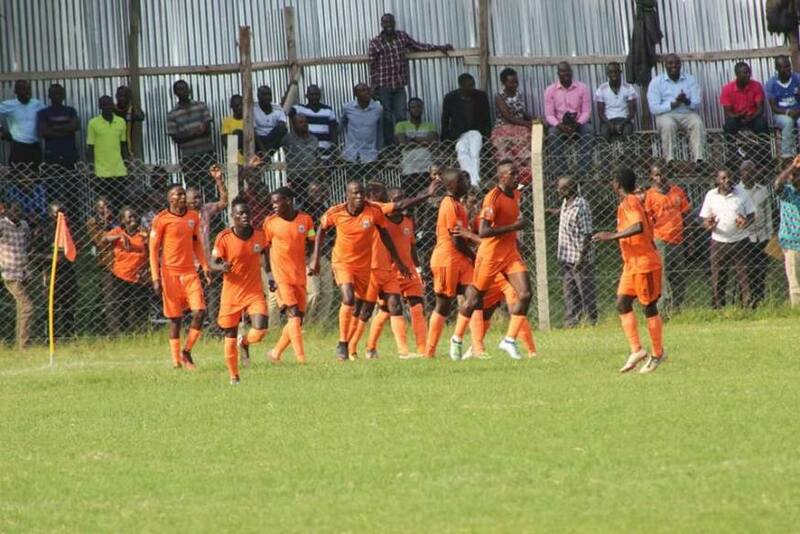 In the game played at Njeru, Nyamityobora came from a goal down twice to earn a 2-2 draw away to Bul. Richard Wandyake put the hosts ahead after just 4 minutes and his goal ensured that Peter Onen’s side go into halftime leading 1-0. A minute to the hour mark, the visitors equalized thanks to Yiga Muhammda’s first goal of the season. Ten minutes later, Willis Otong restored Bul’s lead with a fine strike and the home side looked to be on their way to a second straight victory after defeating SC Villa 1-0 in the previous game. However, Asaph Mwebaze’s side had other ideas and with 9 minutes to play, Ibrahim Dada restored purity for the Abanyakare to ensure that both sides walk home with just a single point. The draw means that Bul remain 5th in the standings with 23 points from their first 15 games while Nyamityobora are still third from bottom, having gathered only 9 points in the first round. At the Green Light Stadium in Arua, Paidah Black Angels and Maroons battled to a 1-1 draw in a fiercely contested encounter. Seif Batte scored after six minutes to put Maroons in the lead before Jerry Adebo restored purity for the home sides with 22 minutes to play in the game. The draw doesn’t change much for either side as Paidah stay at the bottom of the standings with 7 points from 15 games while Maroons are 12th with 15 points.